When there is a Condorcet winner every Condorcet method is as good as every other for identifying this winner. It is in those cases where there is no Condorcet winner that the various Condorcet methods differ, which is mainly in how they break preference cycles (aka majority-rule cycles). Let us imagine, for example, that we have three candidates: X, Y, Z. With three candidates we will get three distinct pairings: (X, Y), (X, Z), and (Y, Z). 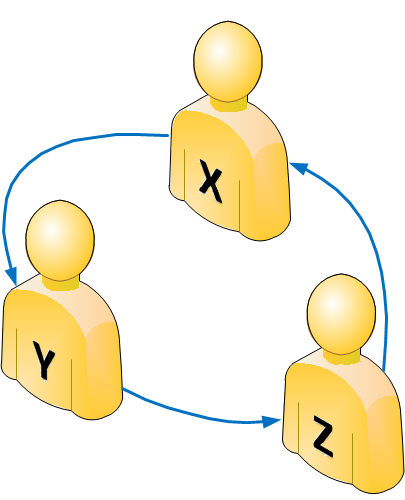 Z is more preferred than X (Z → X), which is to say that Z wins the Z vs X match-up. Here, there is no candidate who wins every pairwise match in which he or she is involved, so there is no Condorcet winner; more particularly, we have a preference cycle. Different Condorcet methods do different things at this point. 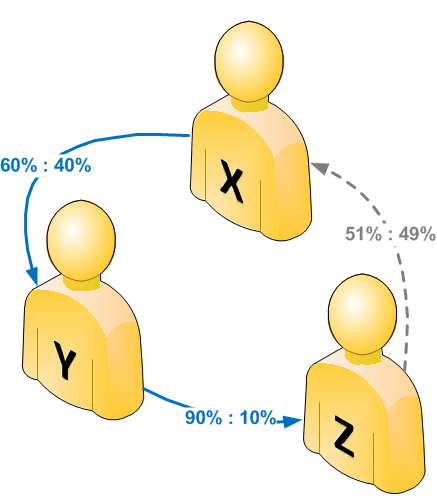 If, say, 51% prefer Z, vs 49% who prefer X; we have a very weak preference of 51% vs 49% for Z more-preferred-than X. We see that some preferences can be seen as comparatively strong, and others weak. Condorcet/Ranked-Pairs “ranks” the pairs according to their strengths of preference, and then considers these pairs, one by one, from strongest preference to weakest. If we get to a preference that conflicts-with a previous (stronger) preference (creates a preference cycle) we omit it: the rationale being that a stronger preference should prevail over a weaker preference in any case where we can’t keep them both. We sort our pairs by descending strength-of-preference as follows: Y → Z (strongest), X → Y, Z → X (weakest). As we then consider the pairs in this order, the first two pairs, Y → Z and X → Y imply that X → Z.
X → Z, being encountered first, and being therefore the stronger preference, still stands. X is the Ranked-Pairs winner.